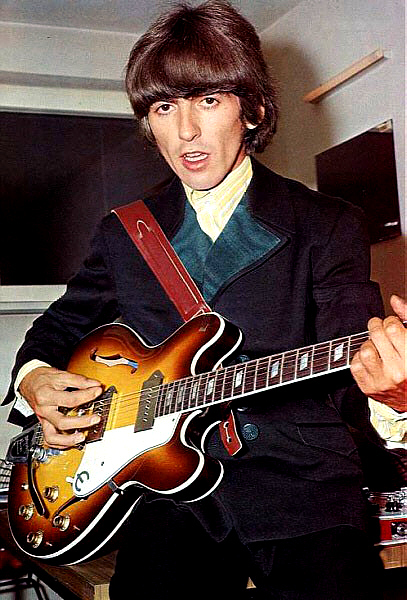 George plays a G chord on his Epiphone Casino before going on stage with the Beatles in 1966. I always thought he was the cutest one in the group. Still do think he's the cutest one in the gorup!! !